This place of worship is listed in Places recorded by the Registrar General under the provisions of the Places of Worship Registration Act 1855 (2010) as having a congregation of Christian Brethren. Its first known appearance on Old Maps (marked simply as "Ch") is in 1970, but the building, and indeed its congregation, is considerably older. It is recorded in Bakewell - the Ancient Capital of the Peak (Halsgrove, 2005, p.63), as Oddfellows Hall. It was rented in 1879 by a Primitive Methodist congregation, until 1891, when they erected a chapel of their own in Water Lane. It was then taken over by the Christian Assembly, a group who had been meeting previously in the house of a Mr. Sellars in The Avenue, who "sought to recreate what they considered was a form of worship more in keeping with the New Testament". 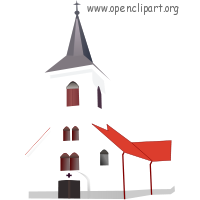 Their church continued to grow, and in 1949, they bought the building, and subsequently renamed it to "Gospel Hall". Thus by 2005, they had "completed over a century of worship here". It is one of 3 Gospel Halls in Derbyshire listed on the website Gospel Halls UK and Republic of Ireland, the others being in Killamarsh (Ebenezer Gospel Hall) and Chesterfield (Littlemoor Gospel Chapel). The Gospel Hall Bakewell, Bakewell shown on a Google Map. Places of Worship in Bakewell shown on a Google Map. I have found many websites of use whilst compiling the information for this database. Here are some which deserve mention as being of special interest for Bakewell, and perhaps to Local History and Places of Worship as a whole. Information last updated on 27 Oct 2018 at 14:31. Please also remember that whilst the above account may suggest that The Gospel Hall Bakewell remains open and accessible, this may not remain so. This Report was created 20 Mar 2019 - 17:35:10 GMT from information held in the Derbyshire section of the Places of Worship Database. This was last updated on 6 Feb 2019 at 15:49.